Amsterdam is a great city! Trolley take you everywhere. Be sure to visit my Amsterdam Photo pages. This ticket is a multi-day pass good on the modes of transit in Amsterdam. You may buy this at the visitor's center in front of the Centraal Station. 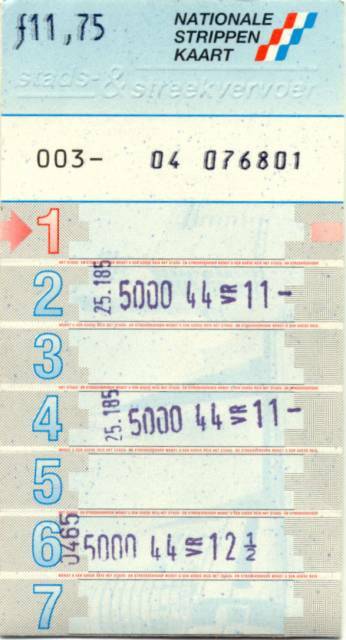 This is what most people use, the Ticket Strip. You punch the ticket based on the zones you will use plus one. It comes in strips of 14.